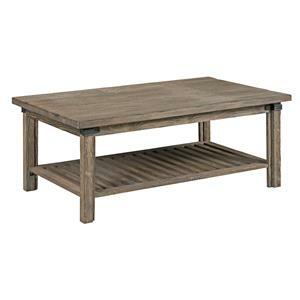 If your favor the rich, old world elegance of Tuscan design, this cocktail table is the perfect way to mix the vibe of the wine country into your comfortable living room. 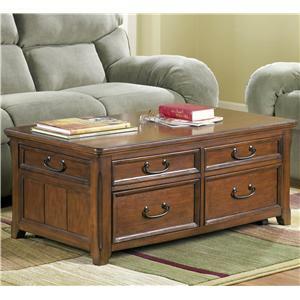 Square feet and a traditional, scroll-carved pedestal base bring palatial elegance to your home. The piece was crafted from solid alder wood, creating a time-tested object of furniture art that can be passed down to future generations of your family. 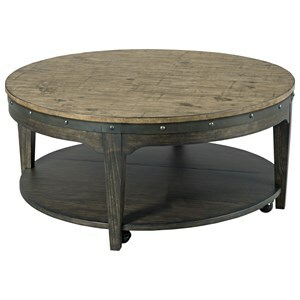 The Portolone Round Solid Wood Cocktail Table with Tuscan-inspired Carved Pedestal Base by Kincaid Furniture at Godby Home Furnishings in the Noblesville, Carmel, Avon, Indianapolis, Indiana area. Product availability may vary. Contact us for the most current availability on this product. 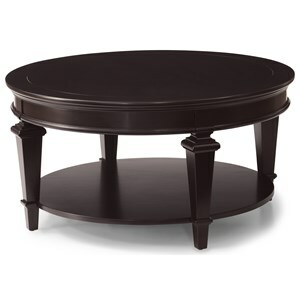 95-027T Cocktail Table Top 1 40" 40" 0"
95-027B Cocktail Table Base 1 0" 0" 0"
Wandering through the Tuscan hillsides, you come across a quaint Italian town steeped in tradition. Relive the warm welcome and comfortable, Mediterranean elegance of that hillside town every day in your own home with Portolone. 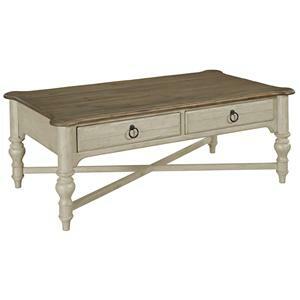 Solid wood furniture from the Portolone collection is exceptional in the way it makes Old World elegance comfortable and functional enough for the modern home. 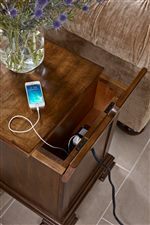 It's packed with the convenience and quality features you need like electrical outlets on side tables and entertainment furniture, velvet drawer linings for jewelry and silverware storage, a table with Lazy Susan and a bureau with extra-deep drawers. 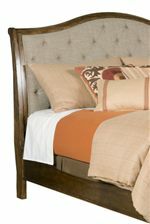 Accenting Portolone's solid alder wood with its Truffle brown coloration is a Sandstone accent fabric on dining chairs and upholstered, button-tufted headboard. The ageless fashion and solid wood construction make Portolone a collection that you can enjoy for decades, and will be happy to hand down to the next generation of your family. 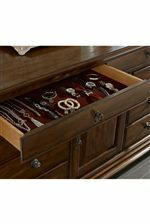 This heirloom-quality furniture is well worth the price when you consider the years of functional use that you and your family will receive. 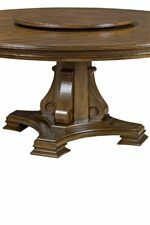 The Portolone collection is a great option if you are looking for Traditional furniture in the Noblesville, Carmel, Avon, Indianapolis, Indiana area. 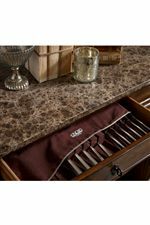 Browse other items in the Portolone collection from Godby Home Furnishings in the Noblesville, Carmel, Avon, Indianapolis, Indiana area.